Kaleidoscope orchestration gives direct insight into delivering life-changing training and education by covering all of the vital components of the most powerful education. It includes theory, preparation and delivery methods and techniques which can be used in any combination, with the more being used providing the more powerful education. 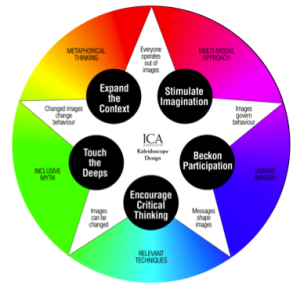 This tool can be used as a memory device “in the moment” or as a design tool to orchestrate an entire curriculum.